So we come to the end of another academic year and the end of my first 6 months as Head of the Division. A great deal has happened in these 6 months – many good but a few not so good. Taking the negative things first of course the most serious was undoubtedly the precipitate evacuation of the Tinbergen building due to asbestos. This has led to serious disruption of the research, and to a lesser extent the teaching, of our colleagues in Experimental Psychology, and those involved in Biochemistry teaching. They have borne this with considerable equanimity and the University and colleagues in other departments have responded well to their immediate need for office and laboratory space. Part of the department is now about to move into a floor of the New Radcliffe House on the ROQ site and they will take over the other floor later in the year. The University has approved the construction of modular laboratory buildings to be built close by and these should be completed by the end of the year. The VC is to be congratulated on establishing a high-level committee led by Professor Sir Nigel Shadbolt, Principal of Jesus College, to decide rapidly for the University whether, after removal of the asbestos, the building should be refurbished or demolished and rebuilt. A decision on this is expected later this month. Remarkable speed for the University! Whatever the decision we must use adversity as an opportunity and ensure that EP and Zoology in the future are rehoused in state-of-the-art facilities. The other major negative event was the inspection of parts of the Division by Inspectors from the Human Tissue Authority who found us, despite the excellent, herculean efforts of the relevant Designated Individual, wanting in a number of key areas – knowledge of the law, availability of consent forms for human tissue and so on. We are still awaiting their report and I shall contact you all again following its receipt to ensure that in future we are all fully compliant with the law. Enough of the negative; what are the positive events of this past 6 months? The Department of Physiology, Anatomy and Genetics has a splendid new entrance area for the Sherrington Building – go and visit it – it’s difficult to believe it could look so open and bright. At last, after several years, that “barren” area alongside the Biochemistry building will soon see building activity when work starts on the £97m Biochemistry II building, recently approved by the University. This building will house groups from the Medical Sciences and MPLS Divisions and will include the Dorothy Hodgkin Centre, led by Professor Carol Robinson, which will bring together biologists, chemists, physicists and so on to create a major new centre for the study of the cell. The building will also house the Sleep and Circadian Neuroscience Centre led by Professor Russell Foster. We are fortunate that Professor Matthew Freeman has agreed to be the project sponsor – a critical role to ensure that the project moves forward at a timely speed. In Headington we have seen the opening of the splendid Big Data Institute building on the Old Road Campus and the signing of an agreement with Novo Nordisk to house 100 of their scientists in the nearby BioEscalator building, whose steel infrastructure is going up at a fast rate. Jointly with the University, both the Oxford University Hospitals NHS FoundationTrust and the Oxford Health NHS Foundation Trust (Warneford Hospital), have developed masterplans for their sites. Between them both the development of a major biomedicine Headington campus with new research institutes and clinical facilities as well as graduate student housing are in prospect over the next decades. 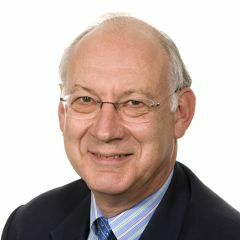 Finally, I would like to take this opportunity to congratulate Professor Simon Lovestone, Department of Psychiatry, Professor Sir David Weatherall, Regius Professor Emeritus of Clinical Medicine and Medical Sciences Board member Bernard Taylor, who were all recognised in The Queen's Birthday Honours List. I wish you all an enjoyable summer vacation so that you are able to return refreshed for the Michaelmas term.